as possible so that the city remains peaceful and prosperous. 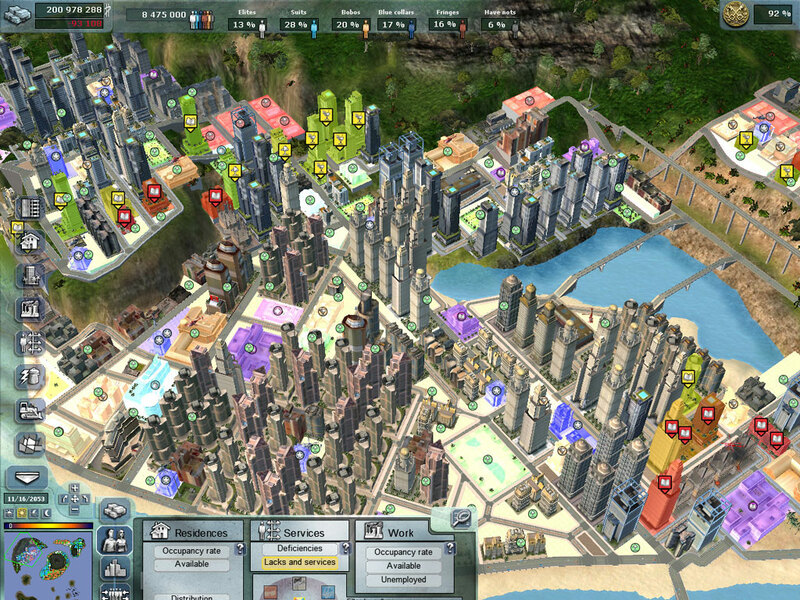 experience and a new challenge for City Builder's many fans. each requirement and for the natural environment. Building superb 21st-century cities is all very nice, but you must also know how to make the sociocultural groups in the game coexist. other, or hate each other! as possible: The Elite, the Radical chic, the Suits, the Fringes, the Blue Collars, and the Have-Nots. towards the "upper" strata of society.